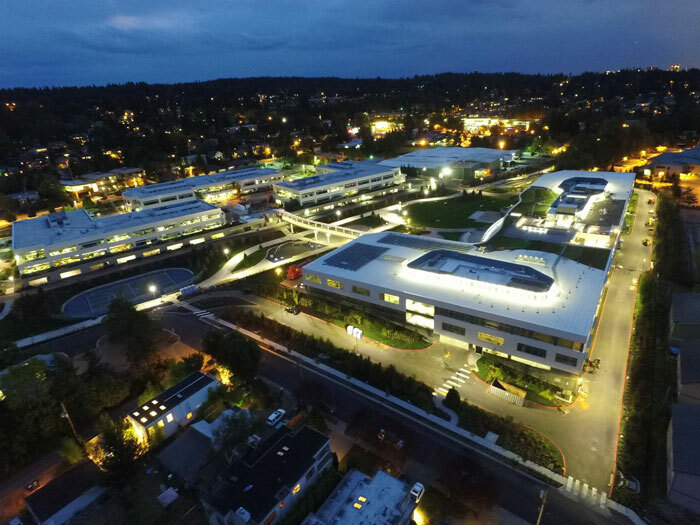 The Google campus is shining bright in Kirkland with the use of motion sensor lighting. Motion activated sensors throughout the corridors, stairways, and garage cut down unnecessary light usage. The drive lanes and parking zones are equipped with light sensors that turn on only when needed. These sensors save energy on the weekend when fewer people are using the garage. In the interior of the building the same infrastructure for lighting control is in use. Daylight sensors take into account the amount of daylight in a room and reduce the levels of artificial light accordingly. Google’s bright approach to lighting makes a big impact in energy conservation.